A simple pill. When taken consistently and on schedule, it can help patients control and even improve chronic conditions like heart disease, high blood pressure, and diabetes. But when patients fail to take their medications as prescribed, the ramifications can be significant. The Centers for Disease Control and Prevention estimates that medication non-adherence causes 30-50% of chronic disease treatment failures and 125,000 deaths per year in the United States. Statistics indicate that 10-20% of hospital and nursing home admissions each year are caused by medication non-adherence, with non-adherence accounting for about $300 billion in annual U.S. health care spending. Here are five ways your organization can help improve the medication adherence of its patients. As noted, the dangers associated with medication non-adherence are considerable. During discussions with patients about their medications and when making changes to a regimen, hit home on the importance of adherence. Emphasize the risks of skipping doses and arbitrarily modifying regimens. Explain that while the occasionally missed or delayed dose may not negatively impact their wellbeing (data shows that adherence rates of 80% or more are typically needed for optimal therapeutic efficacy), risks can greatly increase when these practices become the norm. Prescription and over-the-counter (OTC) drugs inevitably have side effects. If patients are not expecting certain reactions, they may be more inclined to skip a medication or stop taking a drug entirely to avoid experiencing the side effects. Make sure patients understand what side effects are common when prescribing a new medication. This will also help them identify problems unrelated to a medication and its side effects that warrant action (e.g., calling a physician, going to an emergency room). A frank discussion about medication non-adherence risks and side effects may add stress to your patients. That's why you want to prepare patients for how they should respond when confronted with concerns about adherence. Explain what they should and should not do if a dose is missed entirely or not taken at the recommended time of day. Discuss acceptable remedies for side effects. 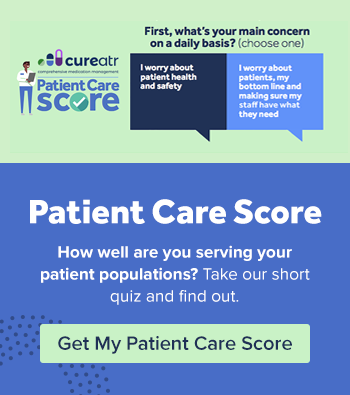 Provide information for how patients can get their questions addressed. 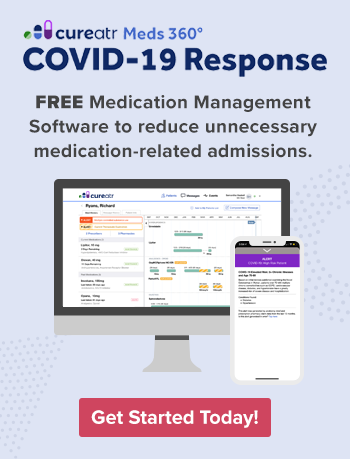 A response plan can help patients remain calm when faced with uncertainty and concerns and better ensure they remain on their medication schedule. According to a Truven Health Analytics-NPR health poll, cost is the number one reason why patients do not fill prescriptions. Two out of every three respondents selected cost as their reason. Particularly alarming: 94% of patients with annual incomes under $25,000 per year stated that they did not fill or pick up their prescriptions due to cost and 69% of patients earning between $25,000 and less than $50,000 stated the same. If patients are concerned about cost, they may fill a prescription but then attempt to ration it to extend the time between refills. Medication cost and a patient's ability to pay should always be a topic of discussion when prescribing medications. Some patients may struggle to speak about their financial struggles, so approach these conversations with sympathy and emphasize that concerns about cost are common. If cost is a concern, prescribe a generic option whenever possible. Help patients understand how they can shop around for the best prices on prescription drugs, including couponing sites such as GoodRx and using National Association of Boards of Pharmacy-approved online pharmacies. Provide information about drug assistance programs available in your state (if applicable) and how patients can check with the pharmaceutical companies to find out whether they qualify for assistance. If rationing is a concern, determine whether a "forgiving" drug, defined as "one in which therapeutic outcomes are robust to common patterns of imperfect adherence," is available. The good news for you and your patients is that there are numerous medication adherence tools available. Patients can choose from simple solutions, such as a medication calendar they can keep near their pill bottles to document when they take a dose. Pill containers/organizers are available in many different types of models, including those with sections for each day of the week and those that break each day out further to include sections for multiple doses at different times (e.g., breakfast, lunch, diner, bedtime). Special timer caps that attach to pill bottles can inform patients when their next dose is due. For patients who are more comfortable with technology, specifically using a smartphone, there are numerous options for apps designed to help improve adherence.